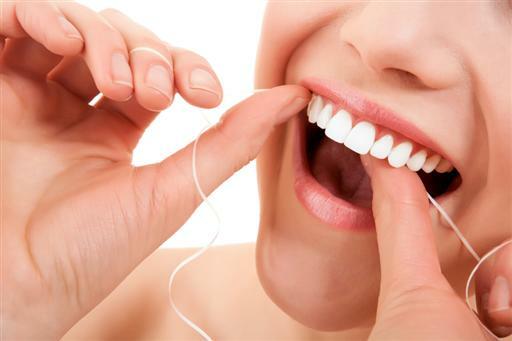 Regular use of dental floss along with brushing is key to proper oral care and healthy teeth. A toothbrush cannot reach many hidden spaces in our mouth, especially the interdental spaces where food particles tend to get trapped and cause plaque, but flossing can help you to clean these areas and prevent the buildup of plaque and tartar on the teeth. Dental floss was invented in the nineteenth century and today it’s available in many varieties and flavours. We at Sumas Mountain Village Dental Centre in Abbotsford recommend choosing the type of floss that’s most comfortable for you. Flossing should be a part of your daily oral hygiene routine and if possible, should be used after every meal – especially by those who are prone to developing gum disease. If you prefer to do it only once a day, then the best time would be to floss at night before bed. There is no specific rule as to how long you must floss; it varies according to each individual. Speak to a hygienist at Sumas Mountain Village Dental if you have any questions. Contact Sumas Mountain Village Dental Centre in Abbotsford if you have any questions or would like to book an appointment today. Enjoy this video from Colgate on proper flossing techniques.